Wat is dit voor site? Wij zoeken de goedkoopste boeken op internet. Highland Furiesvonden we het goedkoopst op Bol.com voor €24.99. We hebben gezocht in nieuwe en tweedehands boeken. Rechtsonderaan de pagina kan je het boek direct bestellen	via Bol	.com. As the oldest of the Highland Regiments, The Black Watch has an enviable roster of Battle Honours and a mystique born of repeated service on behalf of King, Queen and country. On the strength of her acclaimed biography of Field Marshal Earl Wavell, the regimental trustees commissioned Victoria Schofield to write this, the first volume of her magisterial history of the The Black Watch, and have fully cooperated with her as she traces the story of the Regiment from its early 18th-century beginnings through to the eve of the South African War at the end of the 19th-century. Originating as companies of highland men raised to keep a 'watch' over the Highlands of Scotland, they were formed into a regiment in 1739. Its soldiers would go on to fight with extraordinary bravery and Ã©lan in almost every major engagement fought by the British Army during this period, from the American War of Independence, the Peninsular Wars, Waterloo, the Crimea, Indian Mutiny to Egypt and the Sudan. Drawing on diaries, letters and memoirs, Victoria Schofield skilfully weaves the multiple strands of this story into an epic narrative of a valiant body of officers and men over one-and-a-half centuries. 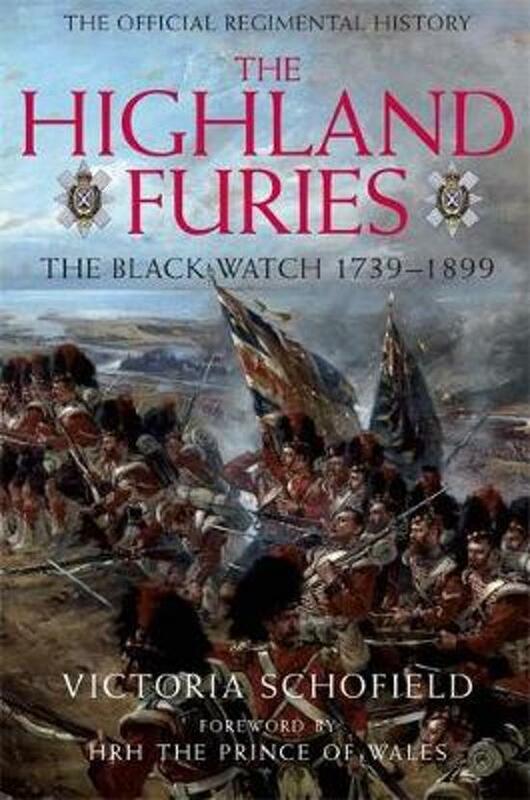 In her sure hands, the story of The Black Watch is no arid recitation of campaigns, dates and battle honours, but is instead a rich and compelling record of the soldier's experience under fire and on campaign. It is also a celebration of the deeds of a regiment that has played a unique role in British history and a vivid insight into the lives of the many remarkable figures who have marched and fought so proudly under its Colours.